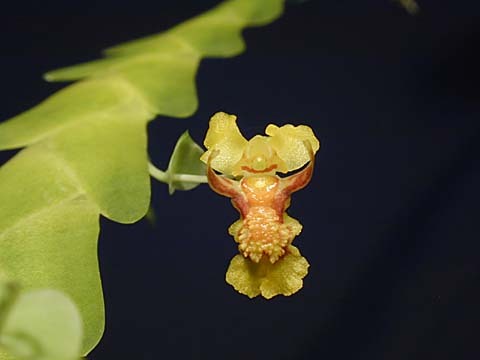 A Brazilian epiphyte that is a medium to small, psuedobulbless plant with elongate, 4 to 12"[10 to 30 cm], mostly pendant stems that are very close together enveloped completely by numerous, disitchous, imbricating, basally clasping, conduplicate, triangular leaves that are bilaterally compressed, densly imbricate and about 1/2" [1.25 cm] long alternately arranged along the stem. 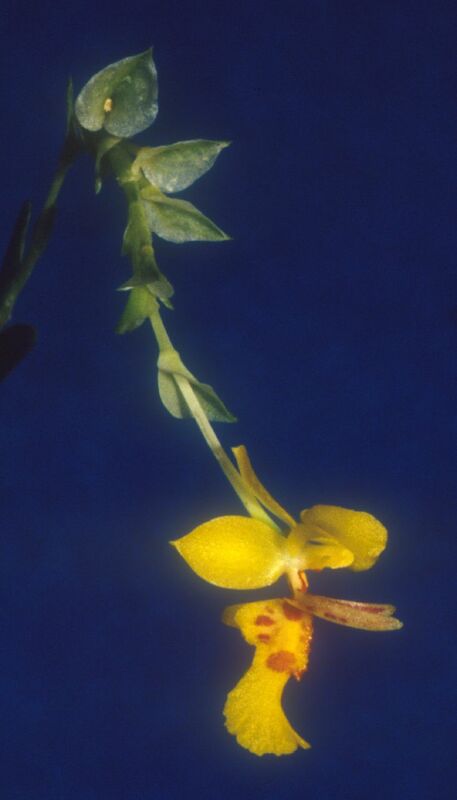 The axillary curved flower stalks spring from the apical portion of the stem and have several flowers and are subtended by a concave bract. They bloom in the spring and summer and are very long lasting.